I went to SNAP for work as a networking opportunity for us to find new bloggers to work with. Because of this, my perspective of the conference is probably a little different than that of bloggers attending to network with brands and other bloggers. Also, sorry in advance for the crappy photo quality. I took pictures with my phone because I don't have a nice/decent camera...it's on the list of things I want for JNSP. Your eyebrows should be sisters, not friends. The sides of our faces are not identical, and our eyebrows shouldn't be either. Of course! The lightbulb went off, and hopefully keeping this in mind will prevent me (and hopefully you, too) from over-plucking! 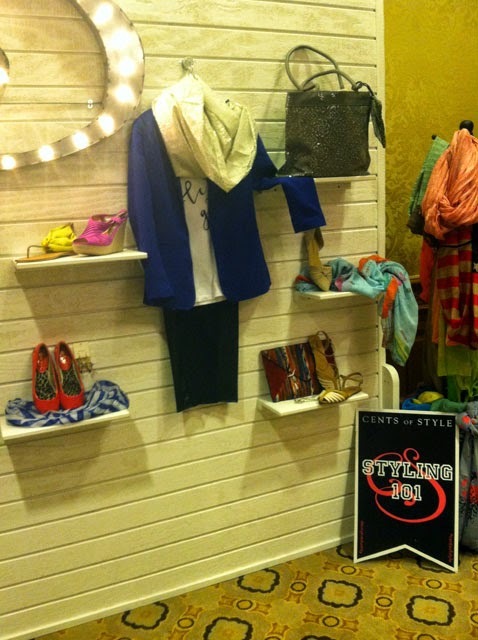 Cents of Style had a life-size Polyvore board set up for attendees to play with! a.) The most important SEO aspect of a blog post is the title. Your post topic, or keyword, should be included in the title of the post. b.) If you want your blog images to show up in Google image searches, then make sure the keyword for the post is included as the alt text. I have a whole post about optimizing photos for web in the works, so I will go into this a little bit deeper then. 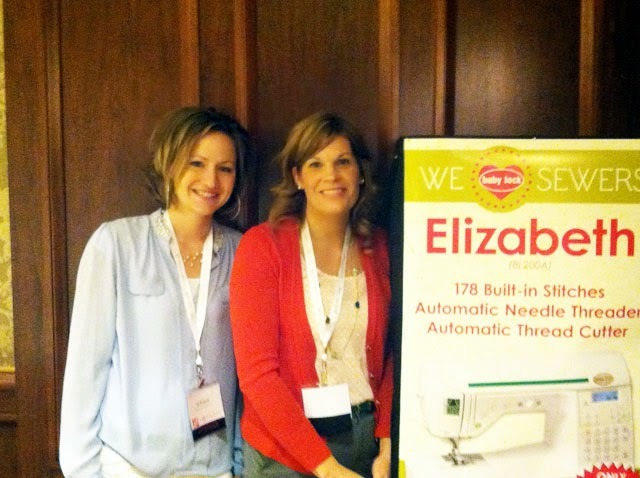 liZ and Elizabeth from Simple Simon & Co. They are the sweetest, kindest ladies, and of course amazing sewists, too! Most of the time, people are prettier/funnier/nicer in person than they are online. It's always so refreshing to meet some of my favorite bloggers in person, and they are just as wonderful as I had hoped. I haven't met a ton of my favorite bloggers in person, but those I have met (Holly, Mel, Cara, Ashely, etc.) have been simply wonderful, humble, and all around awesome. No matter how big or small, bloggers really can make a difference and change a life. Alex Boye' traced the success of one of his first YouTube videos back to five bloggers who had shared it. This just goes to show that we have the power to influence the greater good with what we say and do. It's my hope that we, as bloggers who have a public forum of sorts, use this power to spread kindness and support. 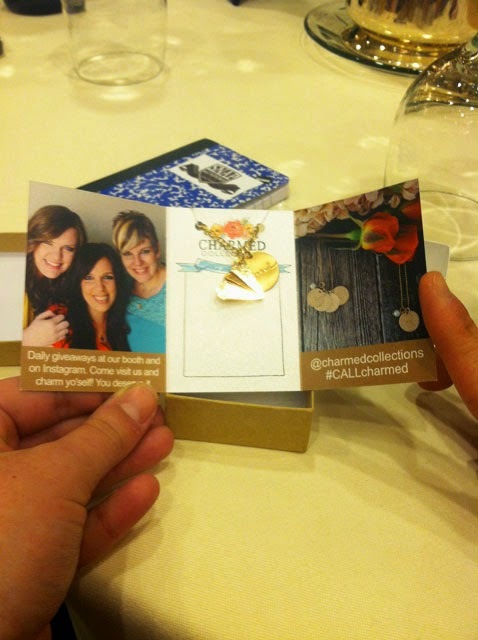 The necklace from Charmed Collections that all attendees, including sponsors, received at the opening dinner. You can't read it in the photo, but the round charm is stamped with the word, "forward," and it's paired with paper airplane charm. The necklace serves as a reminder for us to continually look forward, and that the past is the past. It reminds me that I have the power to move forward from today and make a difference in the future. 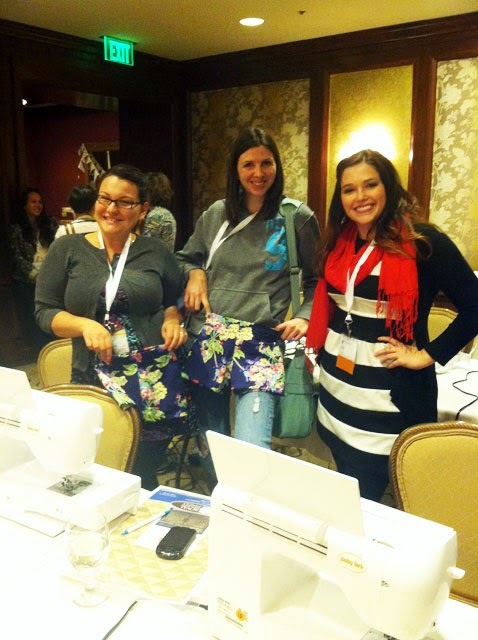 Me with a couple ladies who finished a pair of kids shorts in one of the hands-on sewing classes. 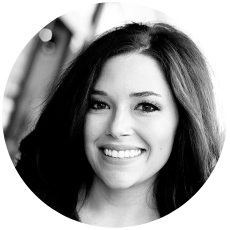 Being at SNAP helped clarify my career path a little bit. Talking with bloggers, engaging with them and thinking about how they could potentially fit with our brand made me realize that that's what I would love to do more of. Right now, I maintain the company's social sites and have a small emphasis on blogger relations (among other things). I would LOVE for it to switch so that I focus more on blogger relations and how they can be more incorporated into our brand efforts. Overall, SNAP was awesome! Fingers crossed that I will be able to go again next year, whether for work or for JNSP. If you're interested, the SNAP blog is hosting a link up for recap posts, so head over there if you want to read more recaps! What a great post! It was fun to see a picture of me with you too!! :D I had such a fun time at SNAP and it was so good to meet you! !